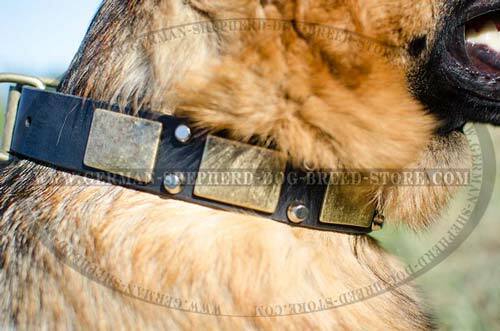 German Shepherd is a large working breed that requires special training to achieve high results and to become a true companion and guardian. It also requires special attitude and, sometimes, additional control. 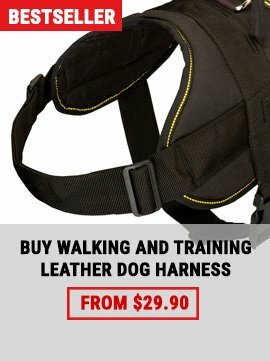 But what if you want to reward your dog for high results he achieves during training and you don’t want to lose the ability to control him? There is a solution now! Our Reliable German Shepherd Dog Collar With Beautiful Decoration will allow you to perfectly combine style and practicalness, fashion and reliability. Just buy it and be sure about it! 1. 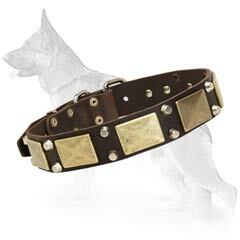 It will protect him from allergic and poisoning reactions, because only high quality materials are used to produce this collar. The strap is made of 100% full grain genuine leather; fittings and decoration are protected from rust and corrosion that will also give the collar the ability to serve much longer. 2. 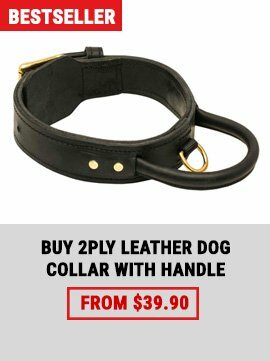 It won’t cause any discomfort to your pet. 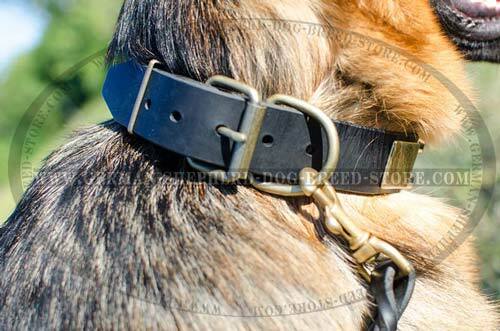 It will protect him from skin irritation and rubbing and it is wide enough to avoid problems during active walking. 3. And, finally, you will like this collar too! 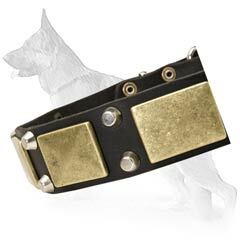 It will grant you the ability of controlling your pet (by attaching the leash to a special ring) and you will enjoy of catching people’s stares on the streets because of the collar’s stylish look! 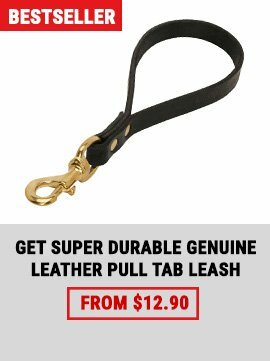 Make your pet true icon of style!